The Government has reiterated its firm commitment to biodiversity and other public benefits which forests and woodland provide. 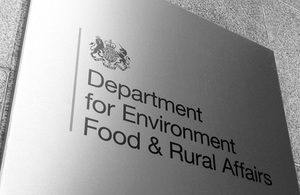 The Department for Environment, Food and Rural Affairs (Defra) has today published a letter sent to MPs outlining its intention to fundamentally reform the public forestry estate, with diminishing public ownership and a greater role for private and civil society partners. At the same time, the Government has reiterated its firm commitment to biodiversity and other public benefits which forests and woodland provide. In view of recent speculation I am writing to explain the reason behind the inclusion of powers for modernisation of the forestry legislation in the Public Bodies Bill, which has just been introduced into Parliament. Contrary to some beliefs, the Forestry Commission’s estate covers only 18% of England’s wooded areas. Nevertheless it is of great importance in the provision of access, biodiversity, carbon storage and many other public benefits. Some of it is producing much of our domestic timber, other areas are almost entirely devoted to public benefit and others are a mix of the two. We are committed to shifting the balance of power from ‘Big Government’ to ‘Big Society’ by giving individuals, businesses, civil society organisations and local authorities a much bigger role in protecting and enhancing the natural environment and a much bigger say about our priorities for it. By including enabling powers in the Bill we will be in a position to make reforms to managing the estate. We will consult the public on our proposals later this year, and will invite views from a wide range of potential private and civil society partners on a number of new ownership options and the means to secure public benefits. We envisage a managed programme of reform to further develop a competitive, thriving and resilient forestry sector that includes many sustainably managed woods operating as parts of viable land-based businesses. We will not compromise the protection of our most valuable and biodiverse forests. Full measures will remain in place to preserve the public benefits of woods and forests under any new ownership arrangements. Tree felling is controlled through the licensing system managed by the Forestry Commission, public rights of way and access will be unaffected, statutory protection for wildlife will remain in force and there will be grant incentives for new planting that can be applied for. When publishing our proposals we will explore further the options for securing and increasing the wide range of public benefits currently delivered by Government ownership and how they might be achieved at lower cost. This will be a new approach to ownership and management of woodlands and forests, with a reducing role for the State and a growing role for the private sector and civil society. At the same time, it reflects the Government’s firm commitment to the continued conservation of the biodiversity and other public benefits which forests and woodland provide. These aims are not incompatible with alternative models of ownership, or our commitment to the natural environment.